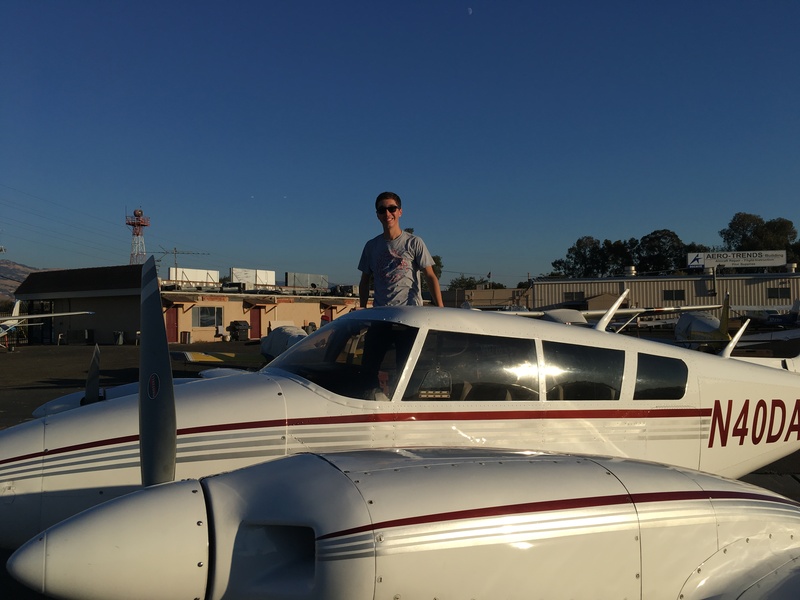 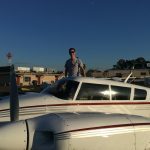 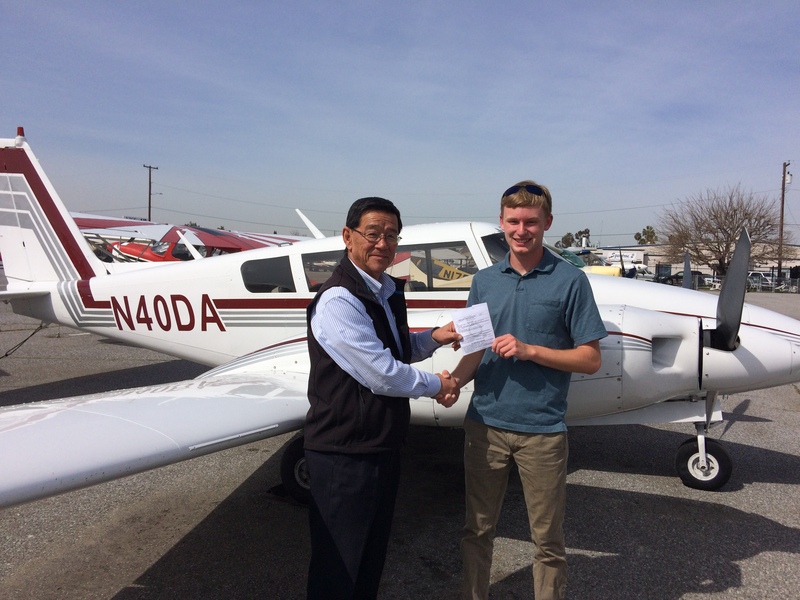 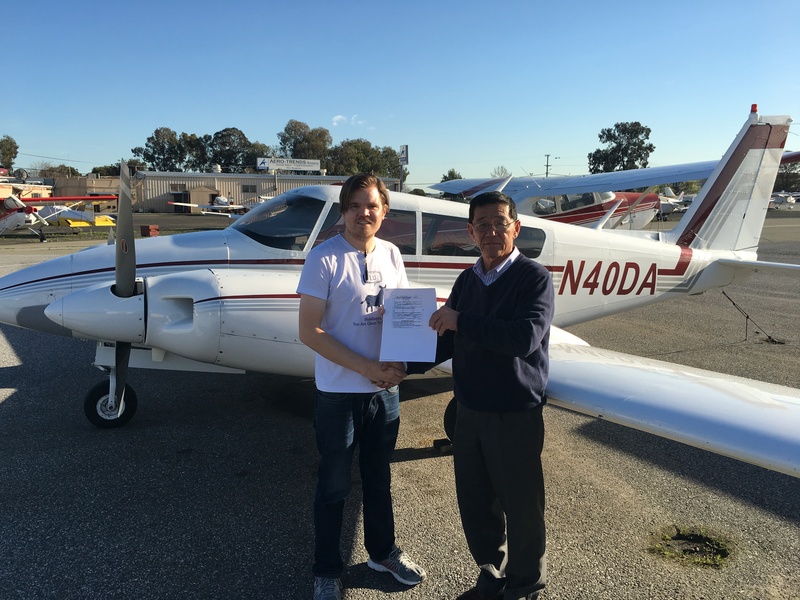 A huge congratulations to our newest Multi-Engine Airline Transport Pilot! 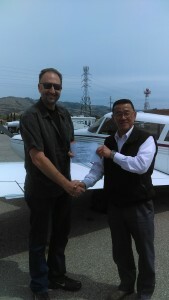 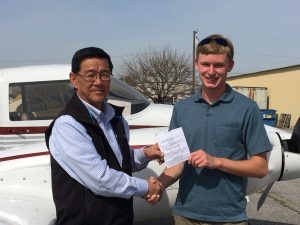 Tipp earned his “doctorate in aviation” on Tuesday in our Twin Comanche with DPE Yuzo Wakita. 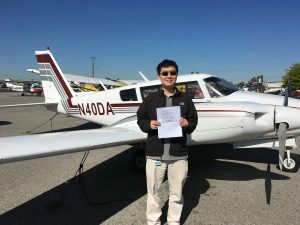 ATP requires a minimum of 1500 flight hours, among other requirements, so this accomplishment deserves a big round of applause. 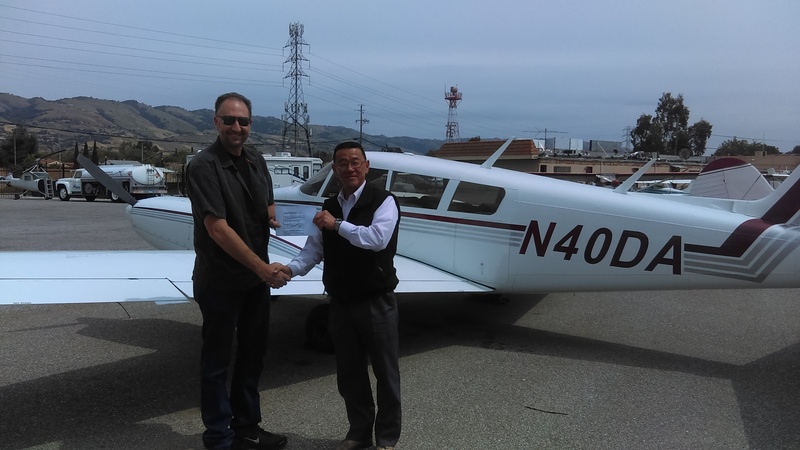 Well done to Tipp and his instructors, Ron Vlastelica and Jen Delp-Mallet. 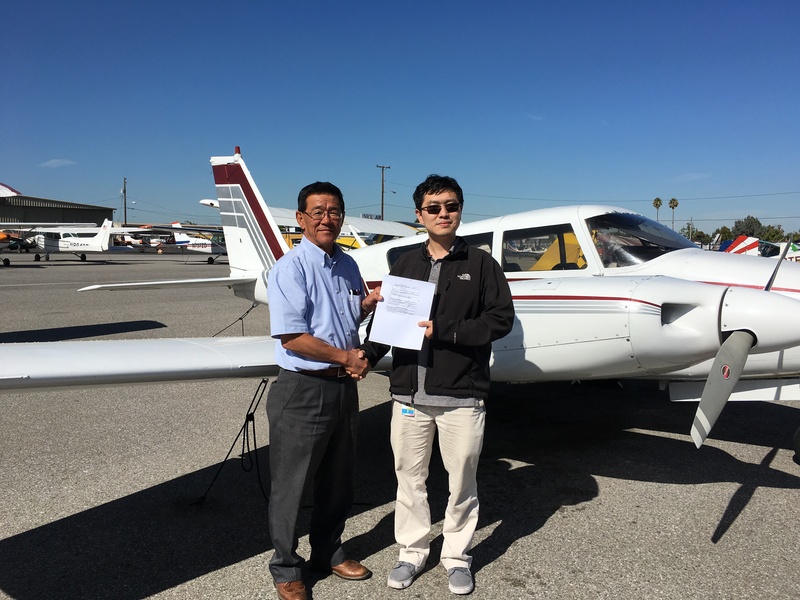 Our Chief Instructor, Jen, recently earned her Multi-Engine ATP license in our Twin Comanche with DPE Yuzo Wakita. 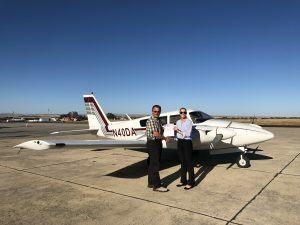 Jen gives a big thank you to everyone who cheered her on, especially her mentor and former owner of AeroDynamic Aviation, Zdravko Podolski. 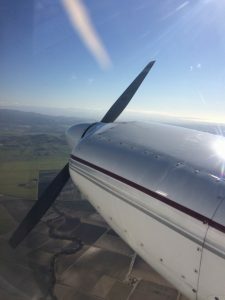 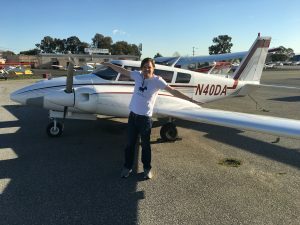 Under Zdravko’s tutelage, this former airline pilot has completed her tailwheel, CFII, MEI, and now ATP. 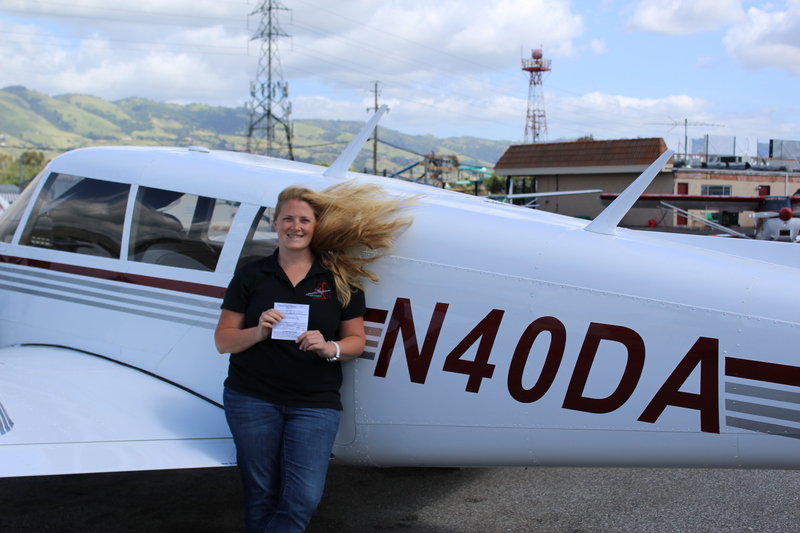 This summer Jen plans on competing at aerobatic competitions and earning IAC Judge status. 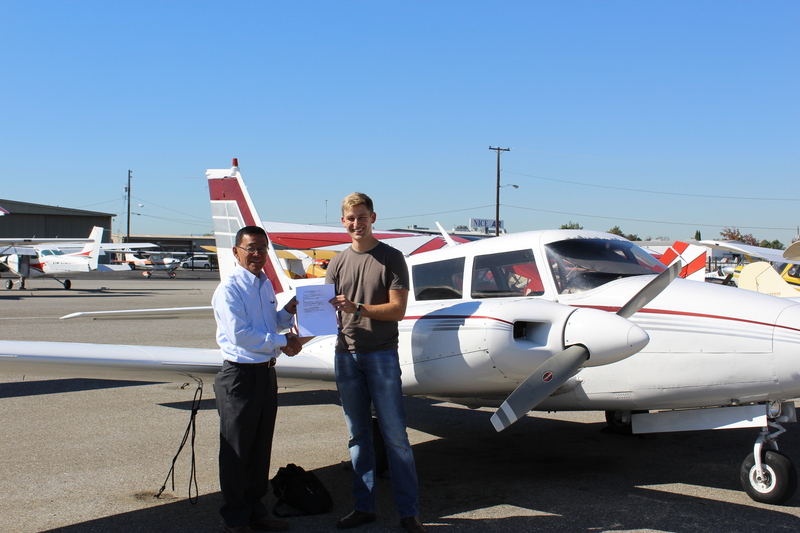 Her Decathlon, N2804Z is a gorgeous red, 150-hp Decathlon that will be coming online in San Jose soon.